Last Monday, the Prime Minister announced £20 million funding for local areas to test new approaches to preventing homelessness. These will draw on the insight and ideas that Policy Lab have generated with DCLG, local authorities and charities over the last 9 months. Film ethnography has huge power to build empathy. We all know about homelessness, but very few of us have actually experienced it. Our mental picture tends to be what we have seen - street homelessness - rather than ‘statutory homelessness’, families and vulnerable people whom local authorities have to responsibility to house. The films allowed us to show the everyday experiences of a range of homeless people (rough sleepers, single homeless people and families) to policymakers. 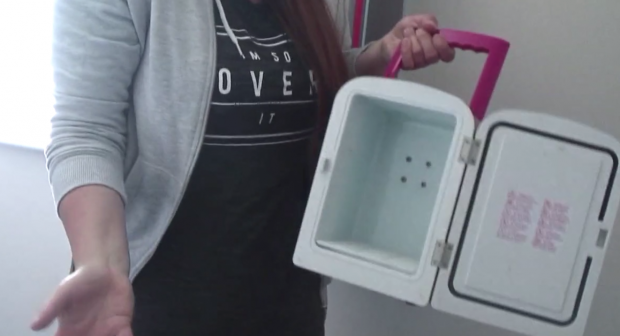 I will never forgot the image of the teeny fridge held up by Sarah* in a Travelodge, the second-hand, worn rug that Cassie* had bought to make her hostel feel a bit more homely or the supportive way in which Hana’s* coach – provided by her supportive housing project – motivates her to go running to ease her depression. It makes stark these challenging experiences that are far from my everyday life, and highlights the necessity for Government to do even more. It can also reveal new insight. The ethnography confirmed many of the risk factors that we know are associated with homelessness: childhood abuse, financial instability, truanting, mental health, offending etc. But it also revealed the importance of other factors such as resilience, resourcefulness and support networks, something we’ve termed personal protective and risk factors. When trying to predict or prevent homelessness it is important to understand these factors, but at present we don’t collect any information about them. 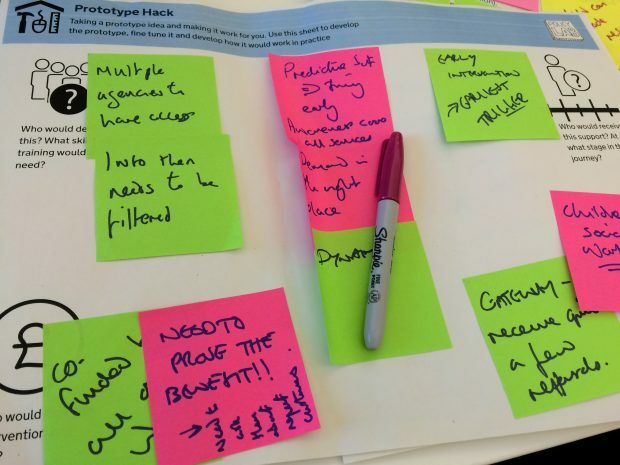 Prototyping is a useful way to co-design with local areas. DCLG works in a devolved policy landscape where Local Authorities are responsible for preventing homelessness. We worked with local authorities and J Paul Neeley, a service designer at the Royal College of Art: at the initial sprint to frame the problem, at a co-design day to generate ideas, and in workshops to ‘hack’ the prototypes and give feedback on how they would work (or not) in their areas. We will take a similar approach over next couple of weeks as local areas bid for the fund. It also helps us continue to research, spotting errors early and creating entirely fresh insight. One of the ideas was around a way for people to self-refer if they thought they were at risk of becoming homeless. Through prototyping, we found that people were not likely to be able to spot this in advance (as they were coping with day to day crises), and that they were unlikely to use the term ‘homeless’ or might find it stigmatising. It’s these types of insights that we can take into the next stage of development with local areas to produce a better service. The prototyping also prompted new ways of thinking about homelessness prevention which was more around housing and well-being. There is potential to use data to predict homelessness but it is not straightforward. Local areas are keen to maximise the potential of data, but need to go through a few important stages. Firstly, the data needs to be of good enough quality that it can be matched. Secondly it needs to be the right data. As mentioned above, we also have to capture data on people’s strengths and resilience. And finally data needs to be designed with humans in mind, building trust in how data is collected, and empowering frontline staff to use machine insight together with their own experience. We are working with the ASI (a data science SME) to run a data hackathon with leading local areas in November to help them develop their projects. Involving experts provided extra rigour and inspiration. 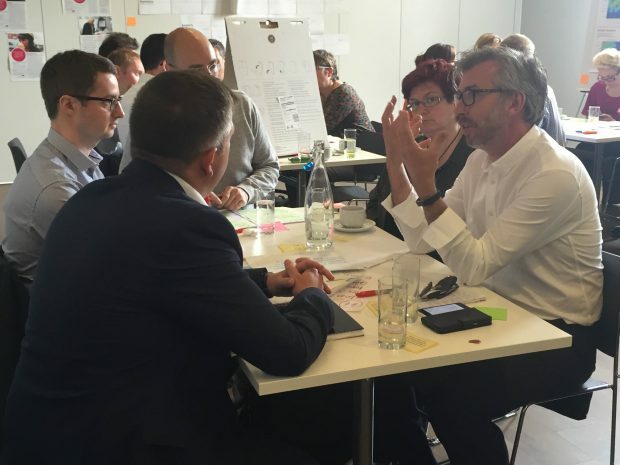 We were lucky enough to involve Nicholas Pleace (University of York) and Professor Suzanne Fitzpatrick (Heriot-Watt University) who are academic experts on homelessness, and Professor Jeremy Myerson, a renowned expert in design. Their involvement was light-touch but enormously valuable in helping us interpret the evidence and create a series of typologies which local areas could use to help plan different prevention pathways. Actually, it’s seven things. The final thing that has struck me was the willingness to be innovative and experimental from the DCLG policymakers. All innovators will know that the hardest part of a project is landing it, or transitioning when new members join the team (especially when they didn’t come up with the ideas in the first place). 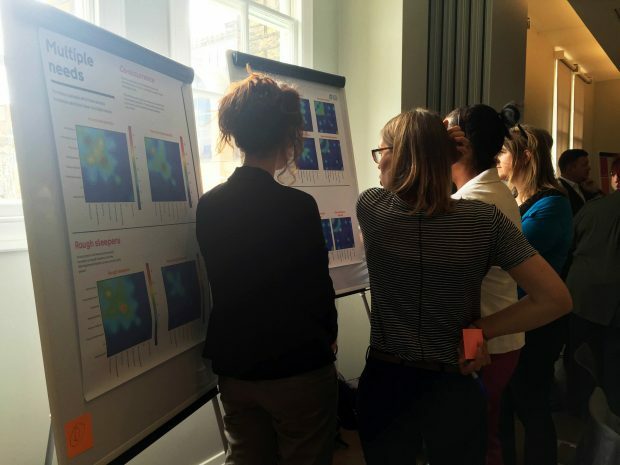 The DCLG homelessness team and the early adopter areas of Newcastle and Southwark have jumped straight into this work with enthusiasm and an open-mind and of course a real commitment to reducing homelessness. That is the essential ingredient for our work. Learning for Life: what will current students design?